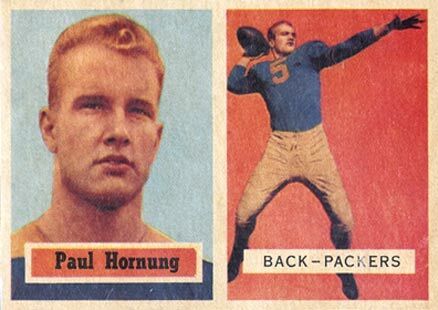 Paul Hornung is a football pioneer. He has an illustrious resumé that includes one of the most notable accomplishments in football. 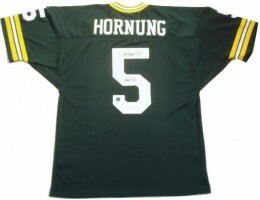 Hornung was the first player in football history to win the Heisman Trophy, be the first overall selection in the NFL Draft, win the NFL MVP awar, and be inducted into both the Professional and College Football Hall of Fames. With accolades like that, you can be assured that Paul Hornung football cards and autographed memorabilia are highly collectible. Hornung's rookie card is from 1957 Topps Football. The set is so endeared by collectors that Topps used the design as a rookie variation in 2012 Topps Football. 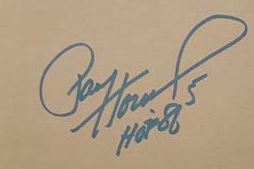 Paul Hornung's first certified autographed card is part of the 1989 Goal Line set. It is serial numbered to 100. His first game-used memorabilia cards can be found in 2000 Fleer Greats of the Game. They feature a swatch from a pair of Hornung's game-worn pants. The cards are not serial numbered and the exact number produced is unknown. 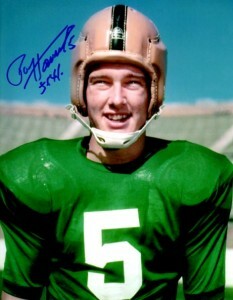 Paul Hornung has attended numerous autograph signing events during his career. As an All-American at Notre Dame and Green Bay Packers quarterback, Hornung has a wide-ranging fan base. His autograph remains in demand. 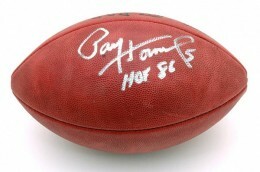 The values of his signed items reflect his Hall of Fame status. Hornung is a key rookie in the 1957 set. 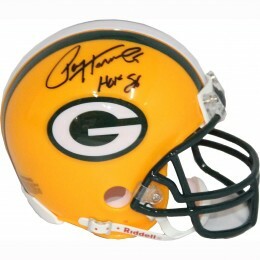 He shares this honor with other Hall of Fame greats like Johnny Unitas, Bart Starr and Raymond Berry. Vintage collectors are very fond of the dual photographs. Below you will find an example of what Paul Hornung's authentic signature looks like. This can be used as a first point of reference for determining the legitimacy of autograph memorabilia, but is not a substitute for having your items authenticated by a well-respected professional autograph authentication company. Some of the trusted sources within the sports memorabilia market include the following companies: PSA, JSA, Tristar, and Mounted Memories. Click on any of the images below to view full size photos. The entire signature is legible and written in traditional cursive script. It displays a couple of unique character traits. Upon first glance one might mistake the name "Paul" for "Ray." The "P" is kidney bean shaped. The crossing line of the letter "H" extends well past the two parallel lines on each side. The letters "u-n-g" are more implied than pronounced. The "g" is indicated by a character that forms an exclamation point shape.